24 year old Canadian Tanya had always been drawn to Stonehenge. Ever since she was a little girl, she identified with Paganism, and longed to be at the feet of the stones. She almost despaired when she found out that the stones were closed off from the public, until she learned about the Druidic ceremonies at the solstices and equinoxes. They asked one of their friends to help them plan it, but as they began looking into doing it the way they wanted, they found the costs too high and they were already saving to go to Europe. It didn’t seem like the handfasting would happen anytime soon. They made it to Europe but unfortunately Tanya got sick while in Prague, and seriously ill while in London. She was still quite ill by the time they travelled to Stonehenge. “Although the sky threatened rain, little short of an inability to walk would have kept her from experiencing the one event we had planned our entire vacation, and our first trip together, around; the Summer Solstice at Stonehenge,” he said. They left their hotel in Solstice Park and walked by the light a tiny lantern to the stone circle. Tanya began to cry, as something she had vowed to do since she was 7 was finally happening. 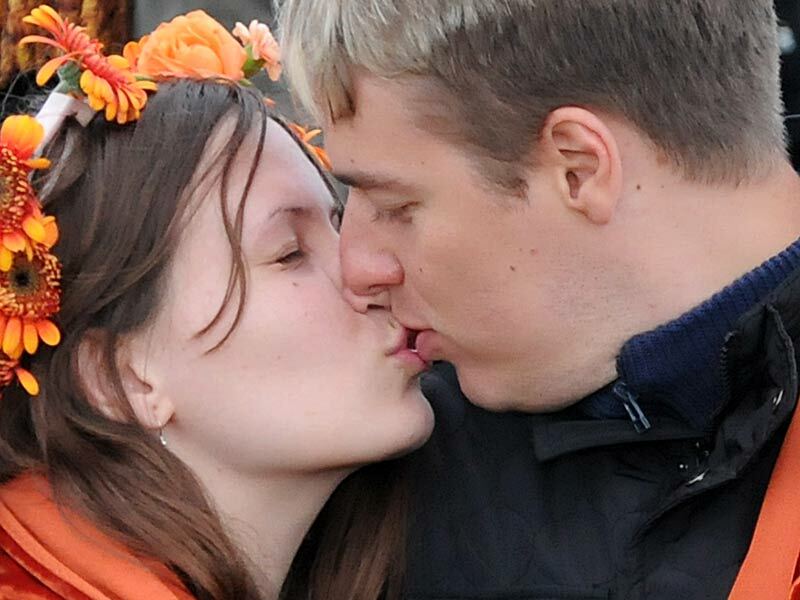 The stones had a big effect on the couple. “At the foot of the massive stones, I couldn’t help but stand in awe. There’s something majestic about the site, something magical that even now is hard to explain,” says Pavel. The handfasting ceremony wasn’t actually planned for their evening at Stonehenge but Tanya happened to get talking to a young woman named Tia who was dressed as a spirit of the forest, or dryad. 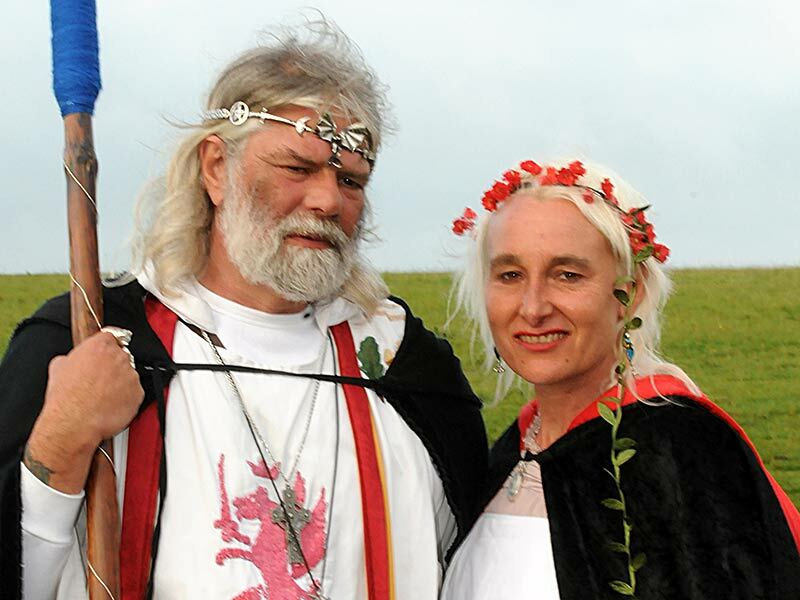 The couple spoke to Tia about herself, her costume, and what she knew of the Druids. Luckily, she happened to know the King of the Druids, Arthur-Uther Pendragon. 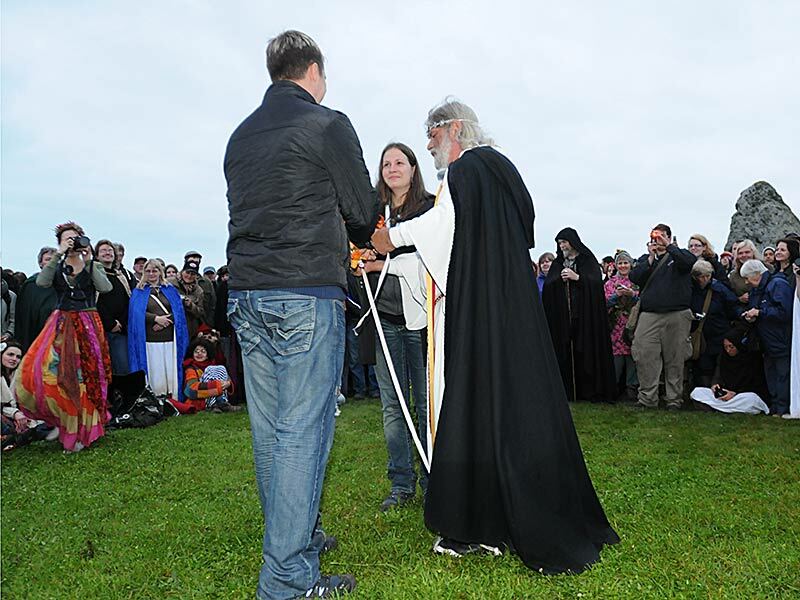 Tanya was fascinated, and wished to see the druids and take part in their ceremony so she asked Tia if she could join in. Tia led them straight to the ceremony, and Tanya managed to find a place at the front where they could see and hear all that was going on. “What an experience that would be! Pavel, can we? ?” she said. Pavel asked the young dryad who grinned and sought out the warior priestess Kazz who said that it would be OK.